Summary: I have done some research over net and I have found that there are many users asking for solutions on how to fix “SD card that says full but it is not” or “Camera memory card is full but nothing on it” or Android “external SD card full but no files’. So, in this post I am going to provide some effective solutions that will help you to solve SD card says it is full but it is not without losing any data. Expert Tip: When you get SD card error “SD card is full but it is not”, then you can’t access the data stored within it. 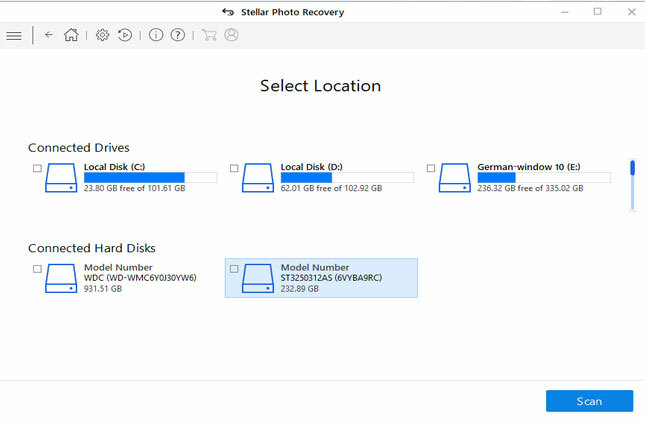 So it is highly recommended that you must first retrieve files from SD card showing full but it is not by using Photo Recovery which is perfect SD card recovery software. Easily extract files from SD card that says it’s full but it is not or SD card full but can’t see files. 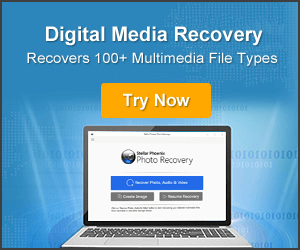 Efficiently recover digital media files such as photos/pictures/images, videos and audio files. Support SD memory cards of all types such as SD, micro SD, mini SD, xD picture card, CF card, TF card, etc that says full but nothing on it. Support memory card used in digital camera, camcorders, Android phone, etc. * Free version of the program only scans and previews recoverable objects. You connected your camera’s or Android phone’s SD card to computer to transfer some files. But when you try to access your card, to your surprise it says “card is full”. Although the SD card is not full, files are not shown on the card. Just have a look at few users’ real practical scenario! SD card used on a Sony camera – says it is full when in camera, but there is only a 3 minute video on it. The card is 8 GB. How to fix this problem? We have deleted all the data off of our SD card. However, when we try to use the card in our action camera, it still says “card full”. How can we fix this problem? At such situations many users get confused and also get worried about their files stored within the card. But why my camera’s SD card or phone’s SD memory card says full but no files? Let’s find the answer below! Why my camera’s SD card or phone’s SD memory card says full but no files? 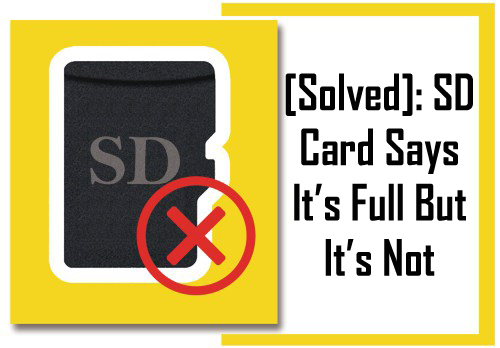 When your camera or phone’s SD card says full, you may get surprise why the card shows full when it is empty. It might be possible that files on SD card are hidden or invisible and hence the SD card shows full but no files. The SD memory card was not formatted properly or correctly. Your camera or phones goes wrong. As per the possible reasons, the ways to fix the “Camera says card is full but nothing on it” or “phone’s SD card says card is full but it is empty” is clear. So, now the question is – How to fix the issue of “SD card says its full but its not”? Well, you don’t need to get worried about it. Just Relax! And follow the solutions mentioned to fix/ troubleshoot the problem of “SD card is full but it not”. Below I have listed some of the effective and proven methods that will help you to solve this issue. Connect your SD card to your Windows PC with the use of card reader. On PC, click “Start”, type “CMD” in search bar and hit ENTER. Here you have to replace drive letter g with your SD card drive letter name. Once, the process gets completed, go back to Windows Explorer and open the SD card and you will see that all your files reappear. In the camera’s SD card the photos and videos are stored in a folder called as DCIM by default. So, if you can try to access the files directly from the DCIM folder. The path for this is: G:\DCIM. Here G: represent the SD card drive letter name. Directly connect your camera or phone with card inserted within the device to the computer. This way your camera or phone act as the card reader and it would be possible that you may see all the files. Sometimes when virus infect the card, it itself autorun the command making all the files hidden in the memory card. Hence, you see that memory card all space being used. But you can fix it by showing the hidden files on the camera or phone SD card. Connect your card to PC. On PC, click Start> Control Panel> Appearance and personalization> Folder Option. Tap on “View” tab and then check mark “Show hidden files, folders, and drives” and click on “Apply”. So, those were some effective solutions that you can follow to solve SD card says full but it is not problem. Note: Follow solutions you want to. But whatever you do, do not format your memory card. Immediately stop using and do not try to add any new data on it. Because formatting card will erase all data from it and adding new data will overwrite the existing files on it. Now the question arises – what if all above solutions fails? How can I recover photos and videos from camera’s or phone’s SD card. Well, let’s find out the ultimate solutions to recover inaccessible data from SD card that says it’s full but it’s not. Additional Reading: [100% Solved]: SD Card Show “0 Bytes” Space! If you do not have backup or copy of your SD card files. Then in such case it is highly recommended that you must try third-party Photo Recovery which is a suitable SD Card Recovery Software in order to recover files from SD card that says full but it is not. 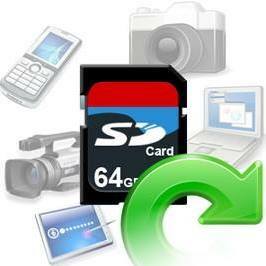 This tool will help you to retrieve photos, videos and audio files from SD memory card. 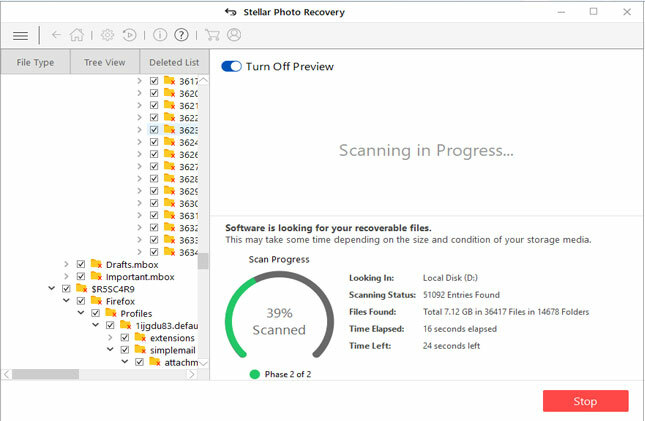 The best part about this SD card recovery tool is that it is available for both Windows and Mac computer. It retrieve inaccessible photo and video files from all camera SD card such as Nikon, Canon, Sony, Olympus, etc and all phone’s SD card such as Android, Windows, etc. This is a powerful tool that recovers deleted, lost, inaccessible digital media files from corrupted, formatted, virus infected SD card. It supports all types of memory cards such as SD, miniSD, microSD, SDHC, miniSD, microSDHC, SDXC, CF card, xD Picture card, TF card, memory stick, etc of different brands such as SanDisk, Transcend, Lexar, Samsung, Sony, Kingston, etc. [Solved]: Pen Drive Show Empty Even When Data Exists! 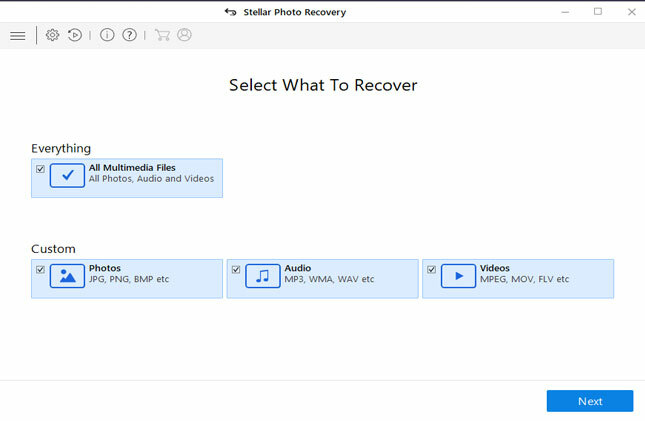 Step 1 – Install "Photo Recovery" software and launch it on your computer. 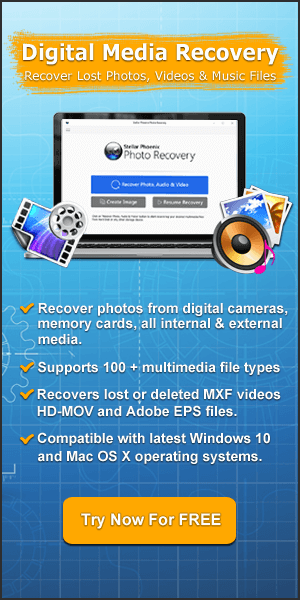 Click on "Recover Photo, Audio & Video" tab to recover photos, videos and audio files from any SD card, external USB drive or computer hard drive. Connect the media to your computer and then perform the process. Step 2 – Select the drive from which you want to recover files. All the hard drive and external media will be shown in the list. Now select the desired drive to scan and then click on "Scan" button. Step 3 – Once you click on "Scan" button the software will show that scanning is in progress. The software will search for all multimedia files from your selected drive or attached media. Step 4 – After scanning, all the files that are found in the selected volume, hard disk or other storage media devices are listed. 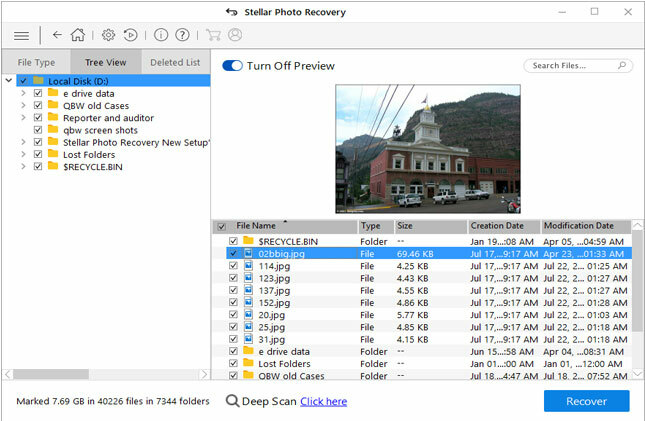 You can now select the files to preview them and then you can click on "Recover" button to finally save them on your computer. Useful Tip: After you successfully recover files from SD card, you must format the card to re-use it again without any issue. So, those were some successful and proven solutions that can help you to solve “SD card says it is full but it not” issue. However, if you do not want to take risk of losing your important and valuable photos, videos and audio files from the SD card, then your must immediately try Photo Recovery software to recover them back safely. [Solved]: SD Card Says It’s Full But It’s Not. 1: Use CMD Command To Fix SD Card Is Full But No Files On It. 2: Directly Access The SD Card Files. 3: Connect The Camera/Phone Directly To Computer. 4: Show Hidden Files On The Camera/Phone SD Card. Recover Files From SD Card That Show Full But No Files. Join our email list to get exclusive updates of digital world and more right in your inbox. Nikon Camera Photo Recovery: Recover Deleted/Corrupted NEF Images! PS4 Won’t Recognize/Read USB? Here’s How To Fix It!